The Free Association means a lot to a lot of different people. Here's what it means to us. The best improv school in London. Improv Training & Sketch Classes. Beginner to Advanced Comedy Courses. No experience needed. Live Improv shows weekly. Corporate Improv Training. Here's what it means to us. The Free Association brings you the most exciting improvised comedy in London. We delight and inspire with a selection of the finest spontaneous funny stuff; showcasing everything from emerging talent to some of the most established and exciting improv acts around – not to mention the all-star house teams and The Free Association Players. If you're looking for something different, why not check out the FA's Comedy Room, where you'll see a wide selection of Character, Sketch and Stand-up comedy from London's finest! The Free Association is also a place of learning, providing the next generation of improvisers with the skills and techniques that they need. We offer courses, in which you – yes, you! – can learn to be excellent, too. Ours is a one-of-a-kind syllabus of long-form improvisation training, based on the American style of long-form improv but with our own unique spin. The courses will teach people the joy of discovering what happens when you say yes; of learning how boundless your well of creativity is; the confidence to create and build with other people; how liberating it is to play, be silly and have fun – whether you are a performer or not. With 6 Levels of training, running continually throughout the year with both 8 week classes and intensive sessions - you're never far away from your next class! Work your way through our structure syllabus to develop your skills, and graduate as a complete performer. 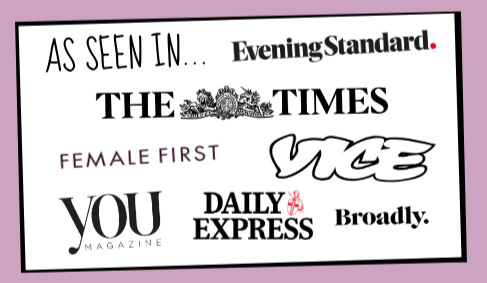 Our training is recommended by VICE, THE TIMES, YOU, DAILY MAIL and FEMALE FIRST. Along with over 1000 Students a year. But that's not all! We're proud to have partnered with TV's Dawson Bros. to bring you the best Sketch Writing course in London. Improv Comedy and Sketch - We've Got It All! If you want to see what The Free Association really is, you must experience our community. This group of students, audience, performers and teachers are changing the face of comedy in the U.K. You will see our performers on your news feed, making videos with BBC Comedy, Comedy Central and Channel 4 (amongst others) You'll see our writers work on your tv screens and you'll see our teachers training some of the most talented students in London. They train together, they work together and they play together. The FA collaborate to create the most inspiring work. At The Free Association, we are experts at communication, listening, excelling in pressure situations, embracing failure, innovating and responsive, empathetic behavior. We rely on our training, a strong set of principles and, most importantly, each other. The importance of being able to communicate ideas and have those ideas heard and understood by your partner is never more heightened than when under pressure. After years of fortifying these good habits, we thought we’d share them with you.